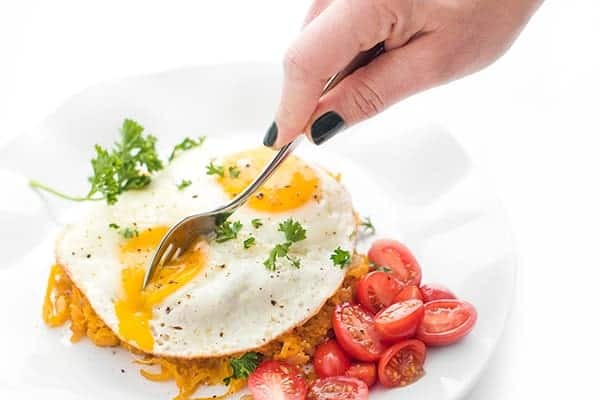 Butternut squash veggie spirals are sautéed until crispy then topped with fried eggs in this healthy, gluten free breakfast skillet recipe. Welcome to 2018 my friends! Whether you’ve been a loyal reader of The Lemon Bowl since 2010 or are just discovering my website for the first time, I’m so happy you’re here. 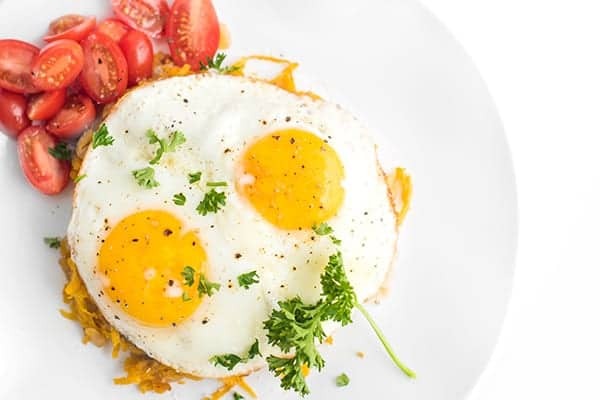 Since there’s no better way to start your day than with a healthy breakfast, I figured it only made sense to start off the YEAR with a fresh new breakfast recipe! 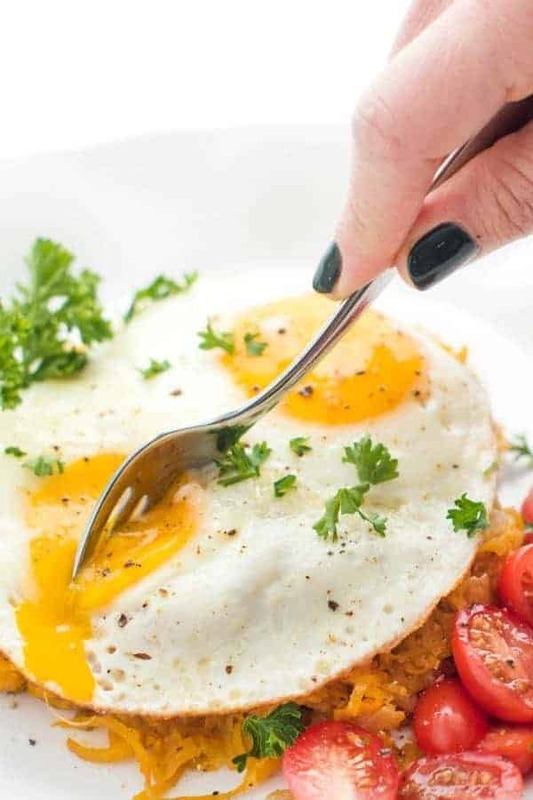 Butternut squash hash browns are seasoned then sautéed until crispy before being topped with fried eggs, or eggs any way you enjoy them! I love mine with a runny yolk but this recipe would be just as good with scrambled or poached eggs as well. When it comes to healthy eating, I’m a huge fan of time savers that make my life easier. With two little boys who are eating 2 and 3 course breakfasts these days, I need all the help I can get. New in freezer aisles, Green Giant has a created a line of veggie spirals made from butternut squash, carrot, zucchini and beets. What’s even better? They are made with 100% vegetables with no artificial ingredients or fillers. As a result, they are naturally gluten free and of course vegan, whole 30, you name it. I love my hash browns crispy and seasoned with garlic powder, cayenne pepper and seasoned salt but feel free to flavor your veggie spirals with your favorite spices. Recently, my aunt Tamar sprinkled hers with curry powder and I thought that was genius! 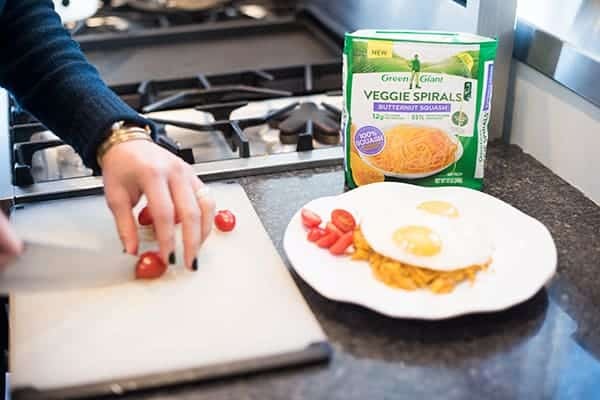 Which veggie spirals do you want to try first? I went for the butternut squash but I’m dying to try the beets next! 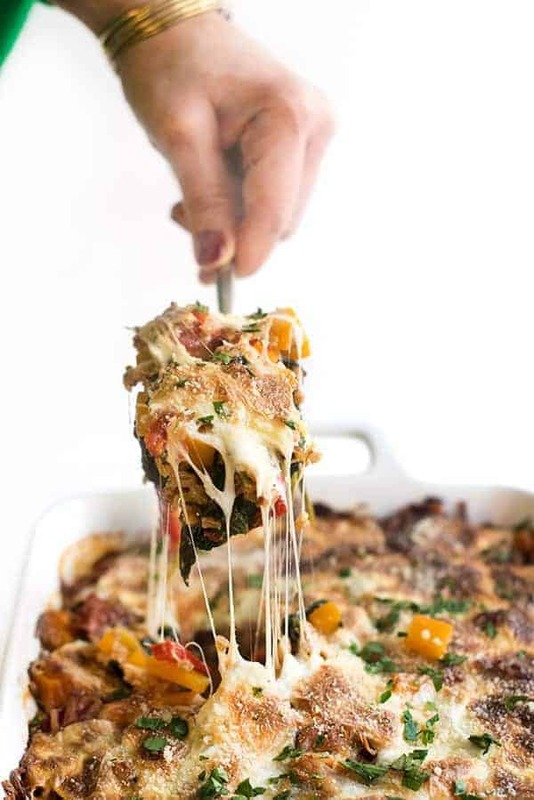 Let me know and as always, be sure to tag me on Instagram when you recreate this recipe or any others. Pre-heat a large skillet over medium high heat and drizzle with olive oil. Sauté onions until translucent, about 4-5 minutes. Add in the butternut squash veggie spirals along with the seasoned salt, garlic powder and cayenne (if using.) Sauté over medium high heat until crispy, about 6-7 minutes. 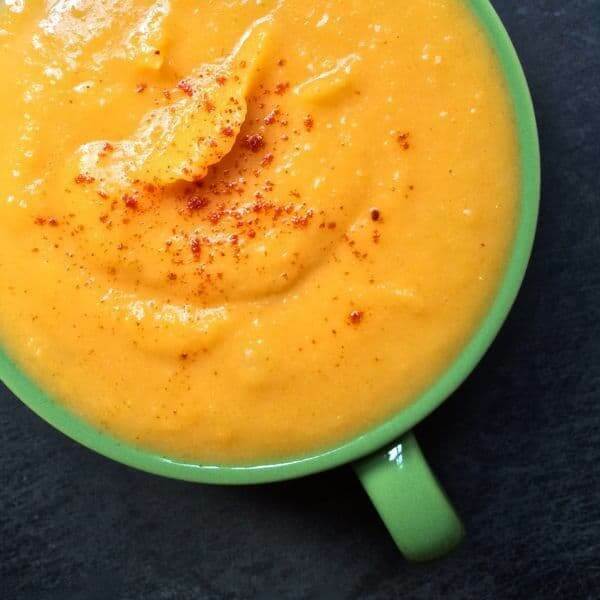 While the butternut squash and onions are cooking, fry (or scramble!) your eggs to desired level of doneness. 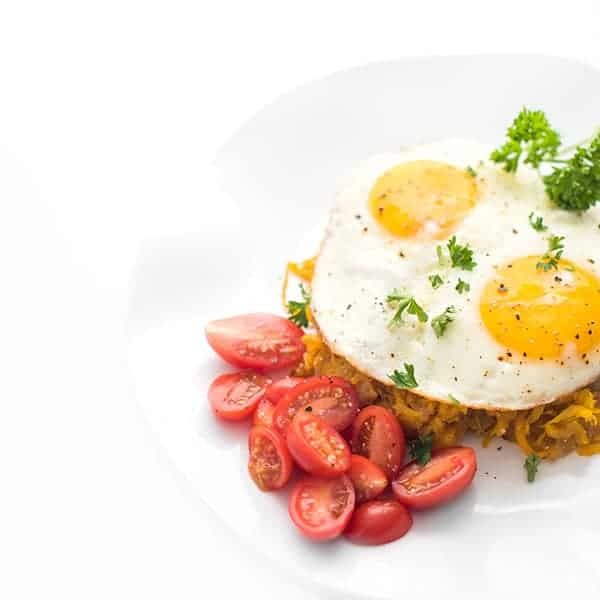 Serve butternut squash hash browns hot with fried eggs on top. Disclosure: Green Giant has compensated me for my time to develop this recipe. Thank you for supporting the brands that make The Lemon Bowl possible. All thoughts are my own. Check out more breakfast recipes on my Pinterest board! 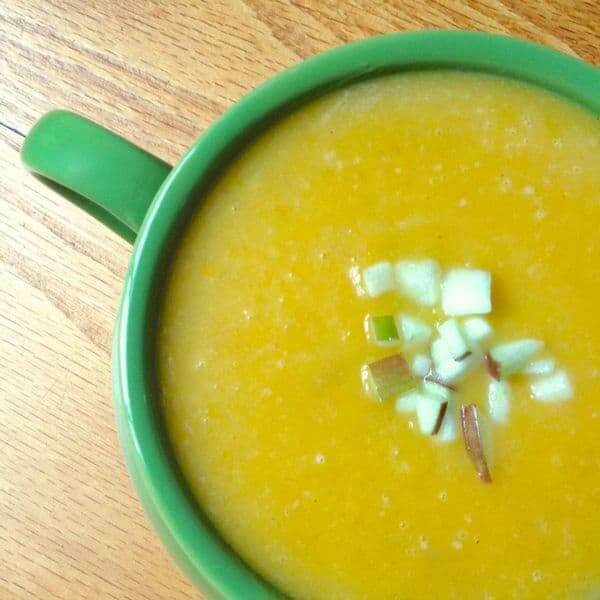 Great idea and the recipe looks amazing to start your day! 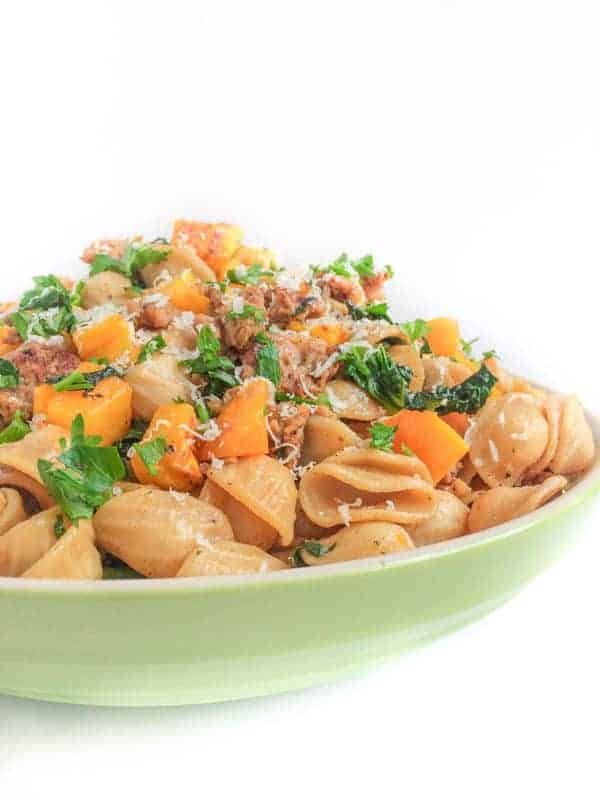 I have been dying to try those veggie spirals! I can imagine they make life so much easier! Gotta find! I might go with a scrambled egg topper, but those squash hashbrowns are a MUST!!! My hubby always does scrambled!! 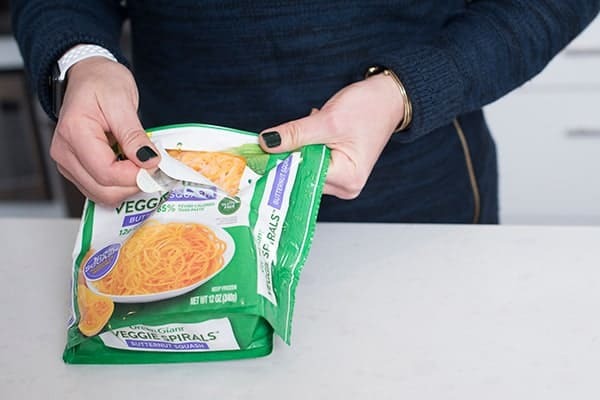 Those spirals look seriously convenient, especially since butternut can be tricky to cut and peel. Great idea here! I love how easy it is!! How handy are these pre-spiraled veggies!? I need to give them a try! I haven’t seen the veggie spirals yet! Going to look for them the next time I shop! They’re brand new!!! I hope you love them!